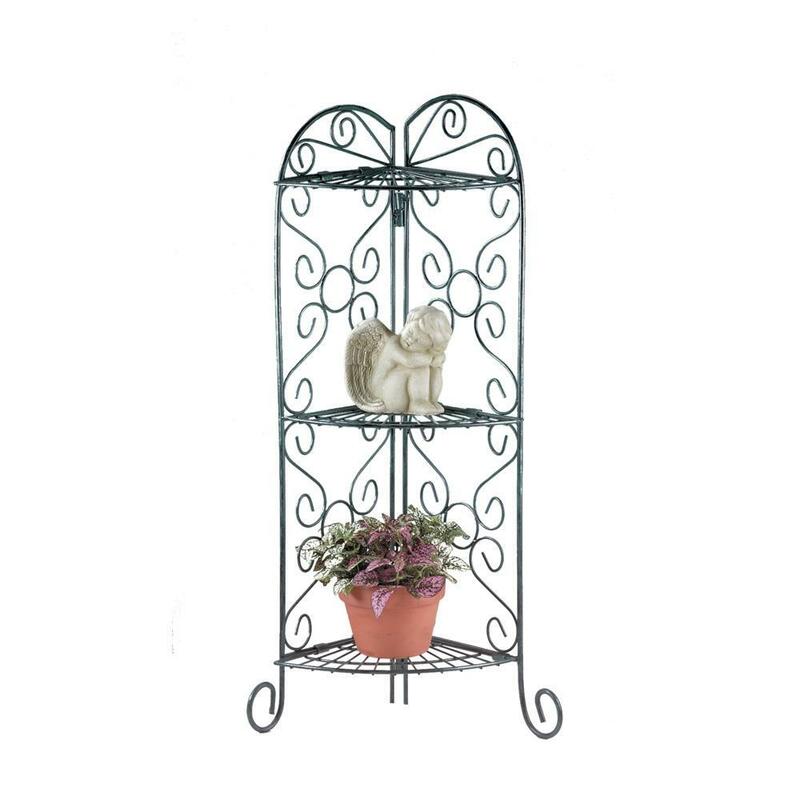 Antiqued corner plant stand features three display shelves for plants and collectibles. Weight: 6 pounds. 12.5" x 9" x 30.2". Metal. Each shelf is 12 1/2" across, 9" deep. Assembly required. UPC: 849179002718.